The Kodansha Kanji Learner's Dictionary is the best kanji-learning tool available for electronic devices. 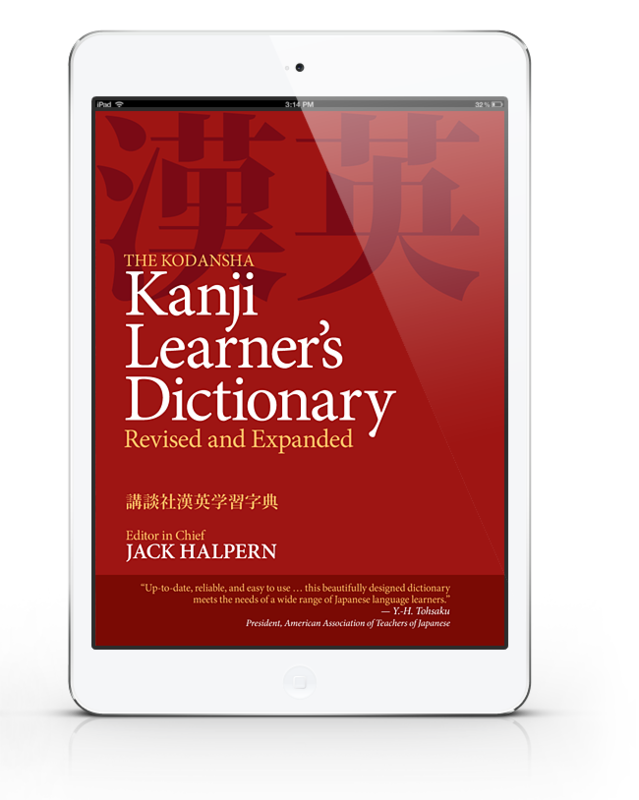 Based on Jack Halpern's world-renowned best-selling book The Kodansha Kanji Learner's Dictionary, which was republished in 2013 in a revised and expanded edition, the iOS and Android editions are beautifully designed applications that takes advantage of the smartphone and smart tablet's advanced features to make the dictionary even easier to use by learners. No kanji dictionary on the market today offers such a full range of features in such a stunning, user-friendly interface. Users can search for characters by SKIP, by radical, by on and kun readings, as well as by English meaning. What’s more, unlike the print edition, users can opt to have Japanese readings displayed in either Romanized Japanese or kana. No kanji dictionary on the market today offers such a full range of features in such a stunning, user-friendly interface. No stone has been left unturned to create these high-quality applications of superb design.